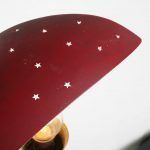 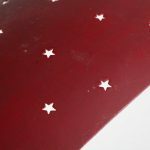 A lovely hanging lamp made of high quality red lacquered metal with perforated star shaped details. 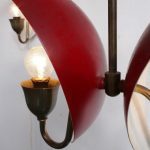 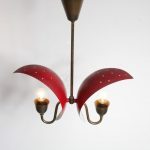 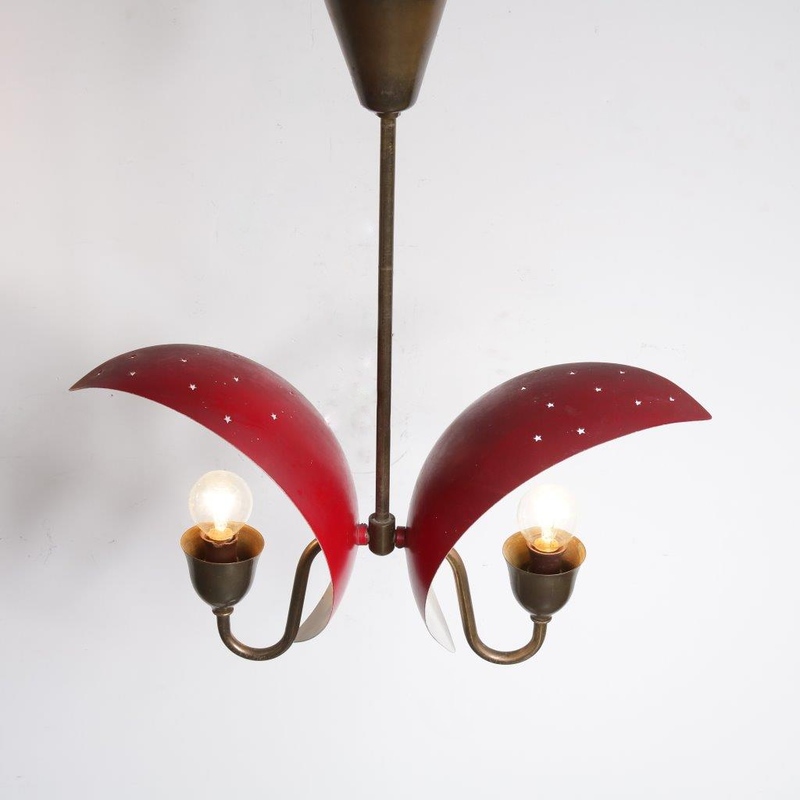 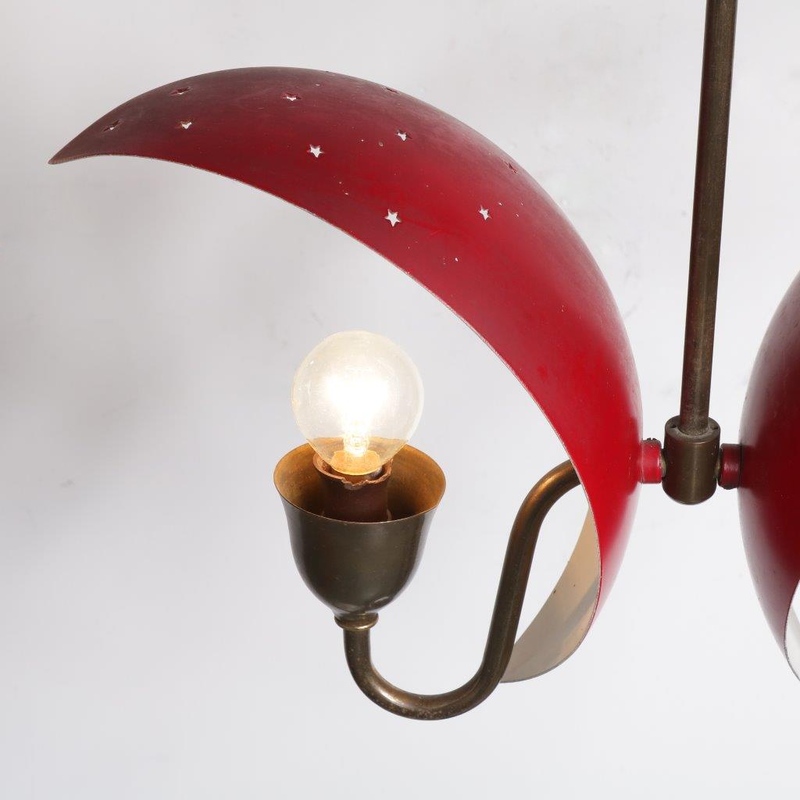 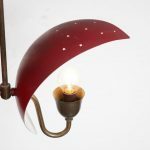 This piece excels in elegance, the smooth half moon shaped hoods fall beautifuly over the light bulbs. 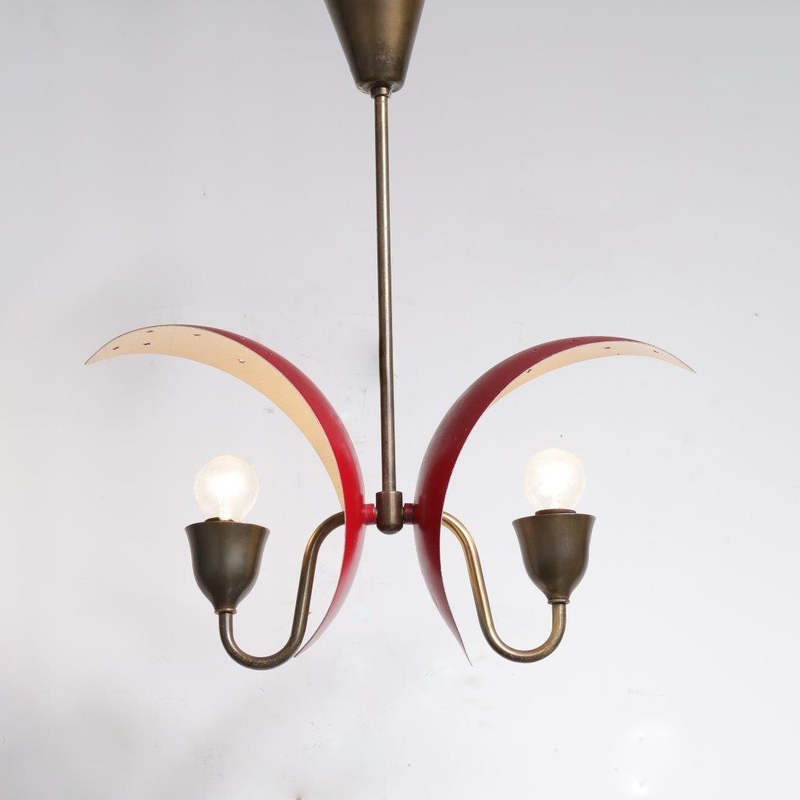 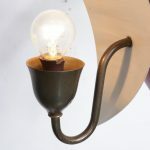 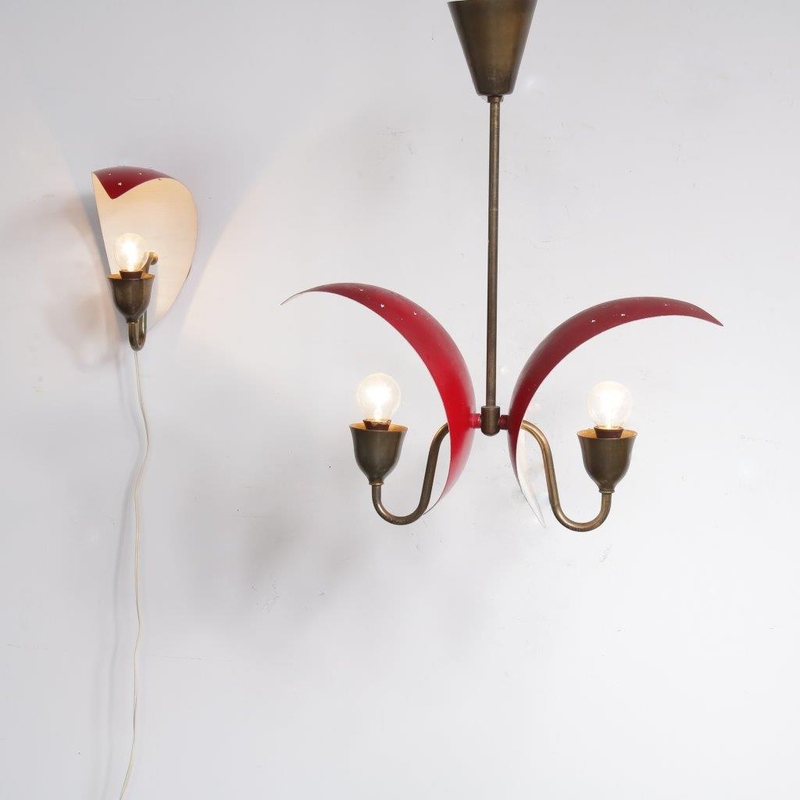 The brass armature has a lovely curved shape, and has a chandelier feel to it. 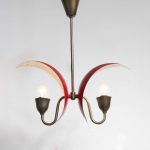 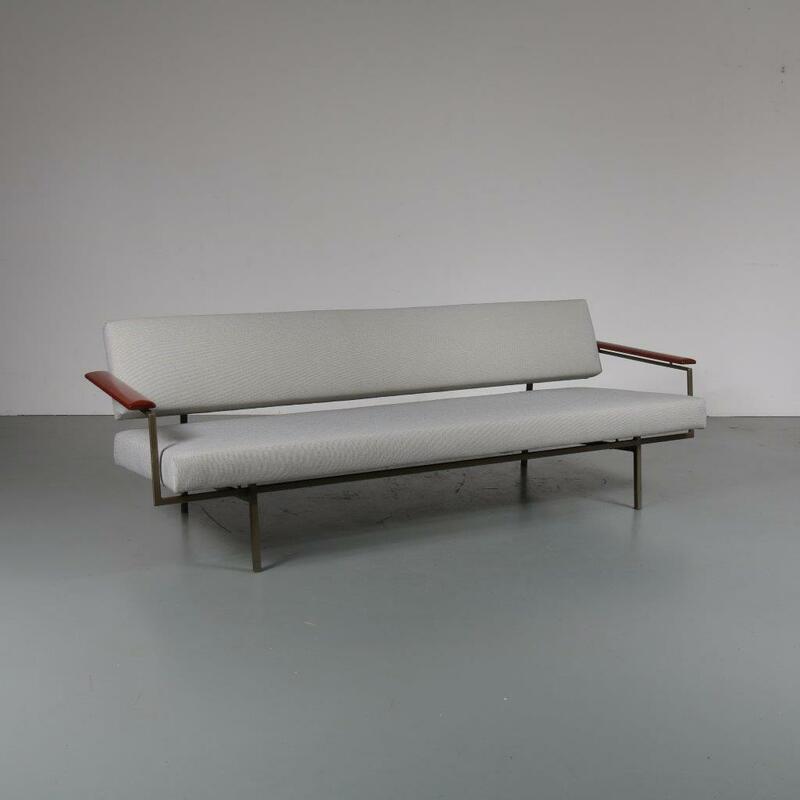 This luxurious piece can be very nicely combined with the wall light that we have available, use the search option for latest stock info or contact us. 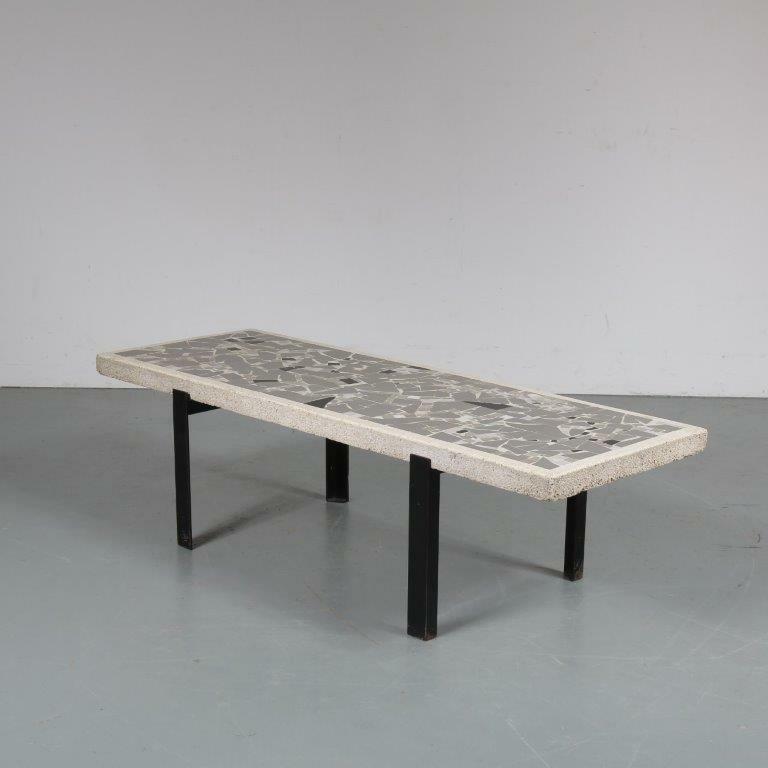 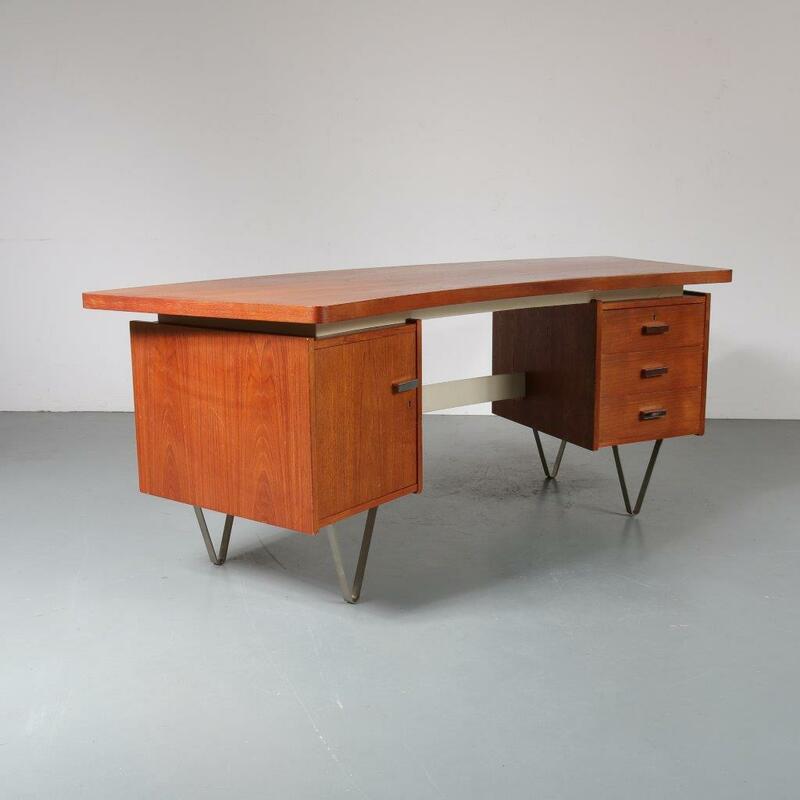 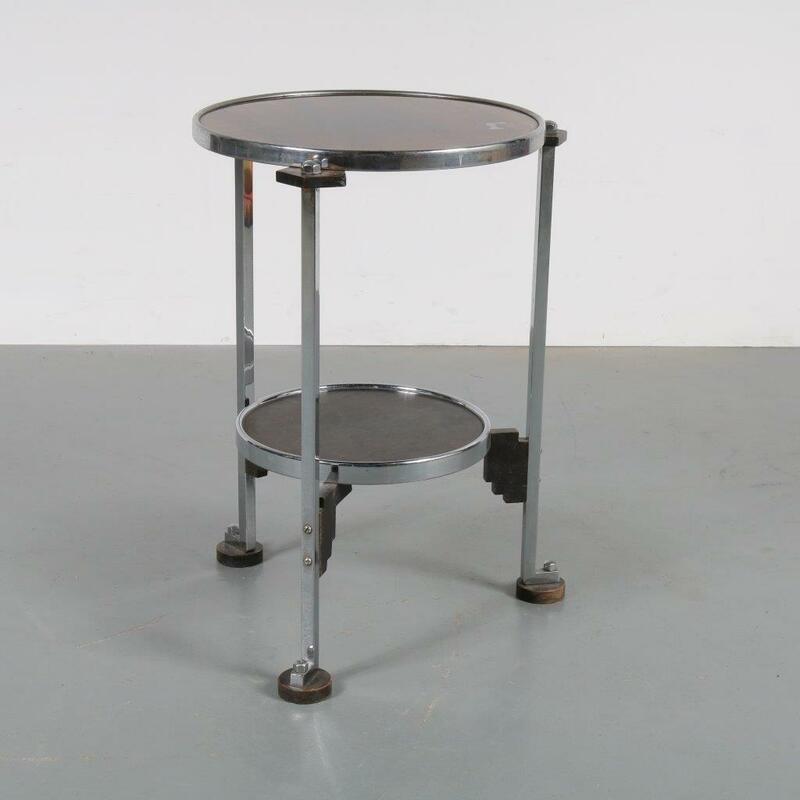 The piece remains in very good vintage condition with minor wear consistent with age and use, preserving a beautiful patina.